The clubhouse, with approximately 5,000 square feet, overlooks the swimming pool and Lake Hester. Inside the building, amenities include a kitchen, a ballroom equipped with an excellent sound system, a billiards room, a library, an exercise room, and a screen room. 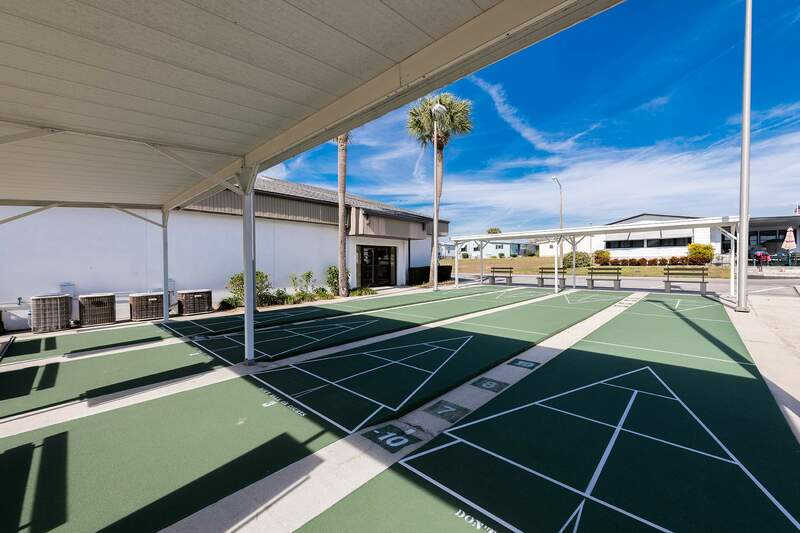 Adjoining the recreation building is a 28’x53′ heated swimming pool, two horseshoe pits, and four lighted shuffleboard courts. Residents enjoy a wide range of activities and organizations, including bingo, craft shows, computer club, game nights, coffee hours, shuffleboard, investment club, water exercises, pancake breakfasts, pot luck suppers, barbecues, pig roasts, silent auctions, golf cart parades, Christmas dinners, ladies’ luncheons, Thanksgiving dinners, New Year’s Eve parties, and dances with live bands.